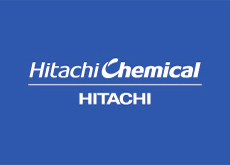 Hitachi Chemical Co. America, Ltd. | Network Directory : Hitachi in the U.S.A.
Hitachi Chemical Co. America, Ltd. specializes in the production of advanced performance products. We employ innovative technology to offer a range of diagnostic instruments, electronics-related products, and energy storage devices and systems. Hitachi brings cutting-edge electronic-related products, functional materials and components, and advanced performance products tailored to meet the requirements of our customers.